This unique incense storage tube is both functional and decorative. 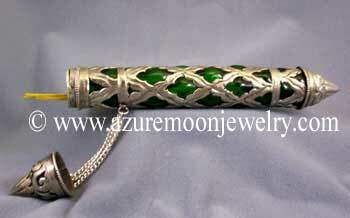 The hand blown emerald green glass tube is encased with white metal lattice work and has a slight patina finish. It features turret shaped end caps and the style transcends many cultures, from Medieval to Mediterranean and beyond. Handcrafted in India. Measures 10 1/4" L - 1 5/16" W.
Click here for Cobalt Blue glass (Item: BI-GSTB) - sold separately. 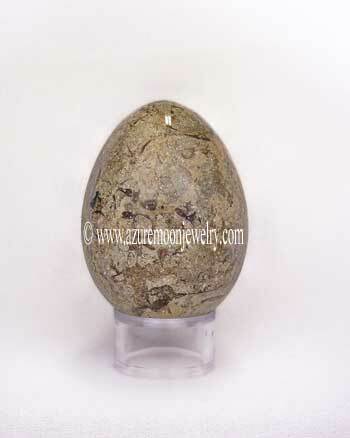 Click here for Ruby Red glass (Item: BI-GSTR) - sold separately. Don't forget to also order some of our premium, hand rolled incense sticks and one of our hand carved, wooden box incense burners!